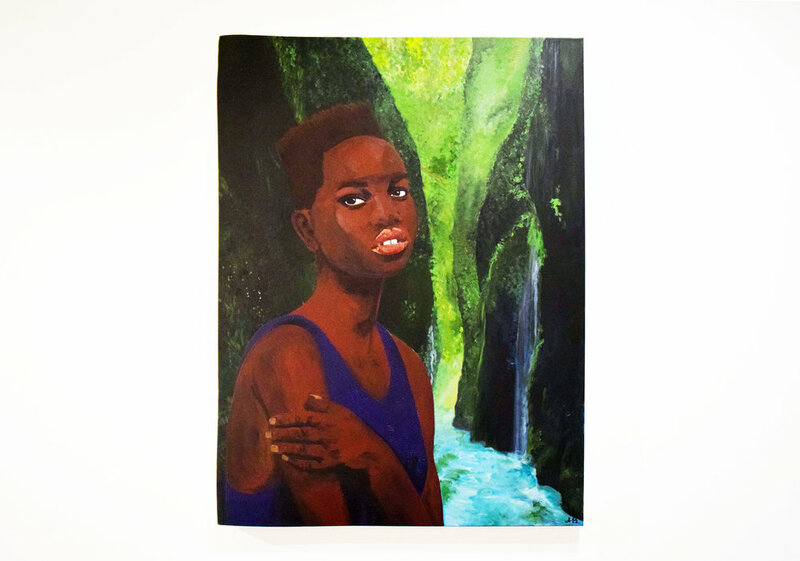 White Gallery presents the debut solo exhibition of portrait paintings by Portland-based artist Sadé Beasley. Curated by Mui Easland. Sadé Beasley is a Portland native residing in North Portland's New Columbia. She is influenced by African American portraiture from painters such as Arvie Smith, Kehinde Wiley, and Kerry James Marshall - by engaging in the visual rhetoric of strength and sonorous in her representations of black women. With the intent to interrupt the insufficient voice given to women of color - specifically black women, she uses bold brushstrokes and large canvas space to dramatically call attention to the women she paints. Her work vocalizes a dialogue of acceptance for the aesthetic of her own blackness and the evocative resiliency of her personal life adversity and mental health. Beasley was an Art Saved My Life artist in residence in May 2018 and Salem Art Association artist in residence in June 2018. Her artwork was also showcased at the Littman Gallery's 6th Annual Juried Exhibition.